Choosing how to train your Labrador can be quite a big deal. There is so much conflicting information out there. 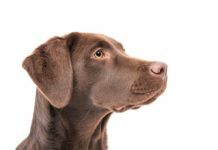 The truth is, Labrador training methods have changed quite dramatically over the last few years and in order to chose the right method, you need to know what works and what doesn’t. Let’s face it, there’s no point in spending vast amounts of time training your dog, if he is no better behaved at the end of it. It isn’t just about how effective your training methods are, though of course that is important. You also need to know which training methods are going to make for a happy and contented dog. So in this article we are going to look at the four main approaches or philosophies of dog training. And help you to choose the right one for you and your dog. The fourth one, crossover isn’t really a method as such – its more of a journey, but I’ll explain that as we go. Most dogs, Labradors were trained using traditional techniques until around ten to fifteen years ago. Traditional training is founded on the belief that dogs are pack animals, and that a dog will obey the person he respects as the leader of the pack. Owners were encouraged to show dominance over their dogs, this meant doing things like, eating first, before your dog, and not letting him on your bed or chairs. Famous celebrity trainers from the traditional camp are Cesar Milan in the USA and for those of you old enough to remember her Barbara Woodhouse in the UK. Traditional trainers often use methods like ‘modelling’ where dogs are manipulated into different positions. With teaching the ‘sit’ for example, the trainer may press down on the dog’s bottom and pull up on his collar. One of the features of traditional dog training is that it incorporates the use of aversives or things that dogs find unpleasant. Aversive methods don’t have to include physical punishment or pain like slaps or electric shocks (though they quite often do) They can be sounds that the dog doesn’t like such as a growly voice, a squirt of compressed air, a verbal “Tssst”, a rattle bottle or discs, that kind of thing. 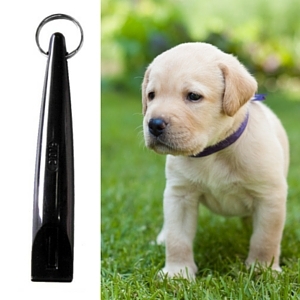 All these and more, are the tools that traditional dog trainers may use to control their dogs. You’ve probably heard of clicker training. 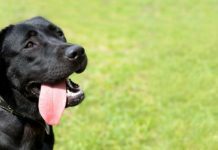 You may think, especially if you first heard of it ten years ago or more, that clicker training is more suited to lap-dogs than rough tough Labradors. We’ll have a closer look at that in a moment, because clicker training is based on the principles that all modern training has at its heart. 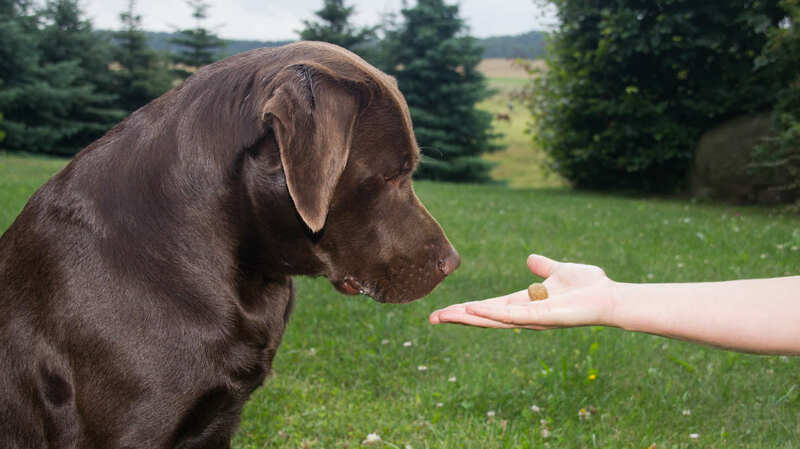 However, clicker training is just one of many ways to train a dog using modern dog training principles, and you don’t need to use a clicker to be a modern dog trainer, (though it can be helpful) Let’s take a closer look at the modern training and find out more about it. What exactly is modern dog training? Over the last hundred years or so, thousands of experiments have been carried out, both inside and outside of laboratories, into the way that animals learn new skills. And into the way that animal behaviour can be influenced. Our understanding of dogs in particular has advanced dramatically in the last two decades. We now know an awful lot about exactly how animals learn, and about the quickest, easiest ways to influence our dogs behaviour. These things have actually been tested and measured. But I’m not a scientist!! 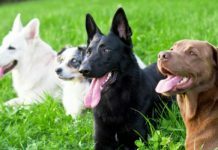 Many modern dog trainers are now taking advantage of this knowledge, and are using the processes described by science (operant conditioning for example) to train their dogs. Fortunately you don’t need to know any of those geeky science words, to train your dog like a pro. All you need is to follow a few rules or principles. And we’ll be looking at those in a moment. One of the key features of modern dog training is the use of rewards to reinforce behaviour that we want the dog to repeat. And the avoidance of the use of aversives, or things that dogs prefer to avoid. 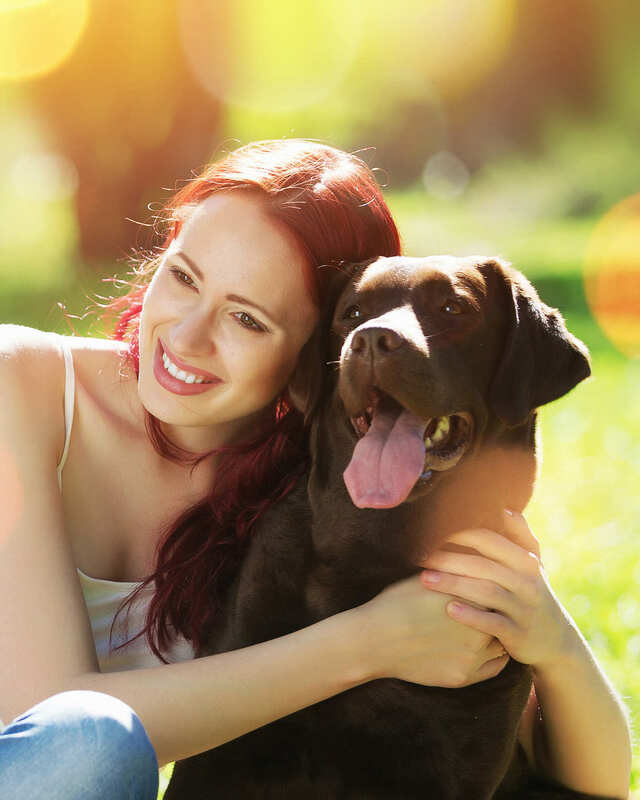 Because we give rewards to the dog and because the rewards reinforce the dog’s behaviour (make it more likely to happen again) modern dog training is often referred to as positive (adding something) reinforcement training. Sometimes, people just call it positive training. Just like traditional dog training using punishment, positive reinforcement dog training needs good timing to get good results. It takes a little skill, and it helps inexperienced trainers if they can watch and learn from a more experienced trainer to begin with. When positive reinforcement dog training first caught on, some people struggled to get good results, there weren’t a lot of people teaching others how to do it, and there weren’t many people that had reached very high standards in dog sports and competitions using modern methods. Because of this, people were afraid that modern methods would not be enough to get them a well trained dog. People wanted to use rewards, but they were afraid to give up punishment completely. And that’s where balanced training came in. Balanced dog training methods were born out of a fear of the new-fangled science based techniques. Balanced training made traditional trainers feel safe. To start with, this might seem like a good idea, but it is actually a flawed plan. We’ll look at why in a moment. Let’s just briefly touch on crossover training before we look at the pros and cons of each method. Crossover trainers are people who are making or have made, the transition from the old school traditional methods, to the newer science based methods of training. Most people over fifty years of age that are now using modern dog training methods (and that includes me) are crossover trainers. That’s simply because modern methods of dog training were not widely understood or used when we first started training dogs. You sometimes hear modern dog trainers say that traditional training using punishment doesn’t work. This isn’t true! Traditional methods do work. They were all we had for hundreds of years and many dogs got trained using them. So why have so many people moved away from them? One of the reasons is that we have a different attitude to our dogs these days. We want to be friends with our pets, they are family to us and we don’t want to be unkind to them. There has also been a movement away from punishment generally. Fewer people slap their kids these days too. Its a social change that has accelerated in the last few years. So one of the big cons for traditional methods of Labrador training is that it incorporates punishment of some kind. Many people simply don’t want to punish their dogs. The other big flaw, that has come to light fairly recently is that we now know dogs are not truly ‘pack animals’. Behaviours like pulling on the lead, or growling over food were mistaken for dominance when they are actually nothing of the sort. New studies have shown that most dogs don’t have any urge to take over the world. You can read more about this in my article ‘the demise of dominance’. 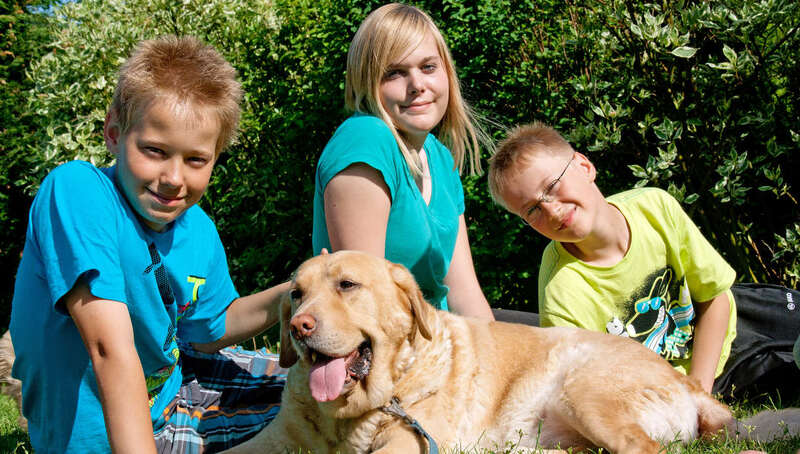 But essentially, all most Labradors want is food, fun and exercise. They have no interest in leading anyone, anywhere. More importantly, we now know that the things we used to do to dogs in the name of ‘dominance’ (alpha rolls for example) actually cause aggression in dogs. Similarly, dominance based techniques used to tackle resource guarding make the problem worse and can be very dangerous. Several studies in the UK have shown that dogs which are trained using non-violent, non-physical forms of punishment are more aggressive than dogs trained without any punishment at all. Interestingly punishment, and not just physical punishment, doesn’t just make dogs aggressive, it makes them slow to learn. This is because fear of making the wrong choice makes us unwilling to choose at all. So a dog that is sometimes punished for making mistakes, will be less keen to do anything at all if he is in doubt of the outcome. This makes it harder to teach the dog new behaviours. What it means in practical terms is that dogs being trained using fear, can’t learn as quickly as they should and are more likely to bite someone. Which isn’t quite what we intend when we set about training a Labrador. Progress in positive reinforcement training has been very rapid in the last ten years. At the same time as we began discovering the flaws and limitations of traditional training, we also started getting better at modern training. Modern trainers began to learn from one another, to succeed in competitions, like agility and obedience, and as people discovered more ways of training without any force at all, interest in this new science accelerated. Modern, science based dog training has actually been the success story of the decade. From its beginnings in the laboratory and the dolphin pool, it has swept the pet dog world and is now rapidly taking over in almost all dog sports and services from the military to the film industry to the obedience ring and beyond. Labradors the world over are now trained to incredibly high standards with no force at all. That includes police dogs, guide dogs, bomb disposal dogs and more. 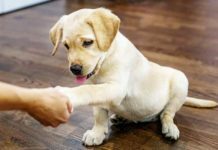 Leading animal welfare organisations, training bodies, veterinary associations and behavioural scientists have all made the switch to positive reinforcement training. As more people began to cross-over it seems that no-one wants to go back to the old ways. It also means we can start training at a very early age. Even tiny puppies can share a training session using modern methods, you don’t have to wait until your puppy is old enough to cope with the stress of training, because training is no longer stressful. Dogs learn rapidly with modern training, and their ability to learn expands as they discover that it’s the choices they make of their own free will that bring rewards. But what happened to balanced training? There are still a few trainers clinging on the the ‘balanced training’ but these are dwindling in number. Basically because ‘balanced’ training wasn’t balanced at all, and was based on the false premise that positive reinforcement training is lacking in some way. I said earlier that you don’t need to understand all the geeky science stuff to train your dog without aversives. And you don’t. But positive training is not the same as being permissive. You still want to end up with a dog that obeys you. A well-behaved Labrador that is a pleasure to take out and about. This means you’ll need to ‘get up to speed’ yourself, if you want to help your dog learn. 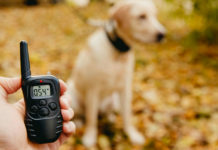 It isn’t just a question of bribing your dog either, you need to learn how to create a nice neat automatic response to your voice or whistle commends. To do this you do need to understand the basic rules or principles that will ensure you are successful in training your Labrador. I think you’ll find the basic rules article really helpful. Modern dog training is a lot of fun for your dog, and fun for you too. 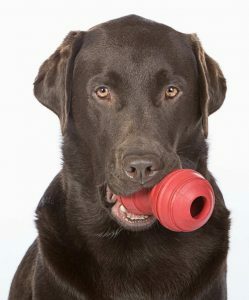 It won’t have escaped your notice that many modern dog trainers use a lot of food and toys in training. 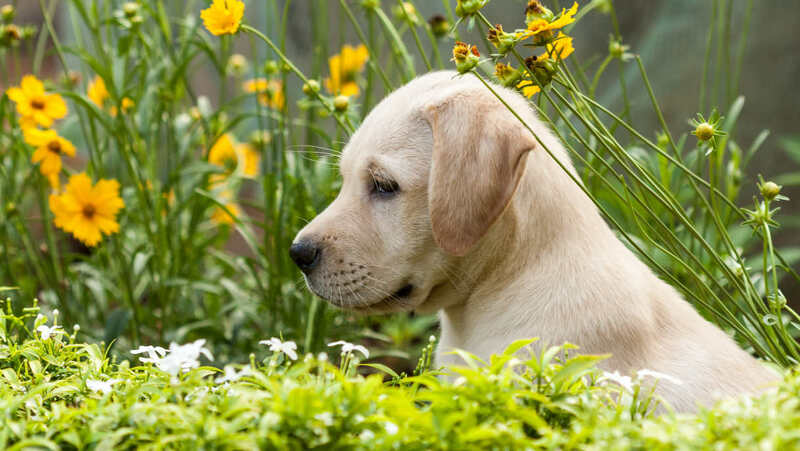 Training should be fun and our community is a great way to make sure that your experiences with your dog are good ones, so don’t forget to join our wonderful Labrador forum for help and moral support along the way. You might also like: Should you send your dog away to be trained? 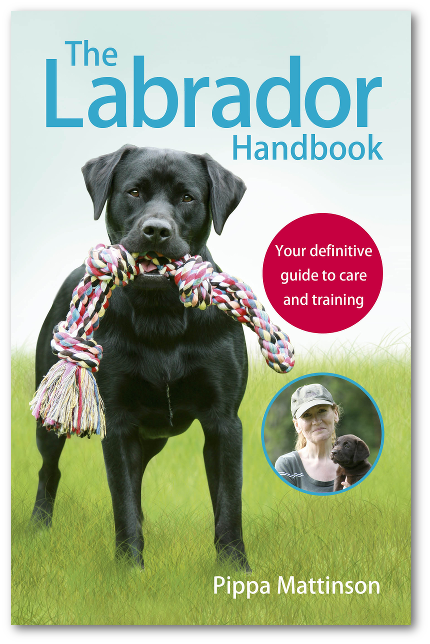 Most of the obstacles that faced those that want to try modern labrador training methods have been removed. There are organisations in most countries that accredit and recommend modern dog trainers. In addition, You tube has brought modern dog training techniques to the masses – you can find some wonderful youtube channels demonstrating just about every dog training technique you could imagine. There’s no time like the present to get started! If you have any questions or would like us to provide information on a particular topic, please don’t be shy! Just drop your suggestions in the comments box below, we’d love to hear from you or to meet you in the forum. Hey Great Article,Thanks. About 4 months ago I bought a dog for the first time in my life (pitbull). But I have some problems with dog training and thinking about hiring a dog trainer online. These dog trainer, my uncle introduced me who had the same problem with his dog and now everything is fine. Do you think it’s a good move to hire a dog trainer? I keep reading good reviews about her but I am unsure if it will still work on me. At this time I can hire this trainer at a very low price,so if possible can you leave me feedback on wether I should do it or not. It would mean a lot coming from an expert in this field. Hii my name is Nitin.I am from Bengaluru india. This is my first time I brought a lab retriever puppy. I want to train him but I didnt know how to start train him can you help me out with the videos. Contradictory but I suppose is just a typo. Hi Adaly, I’m afraid I’m not sure where the contradiction is here? The first quote explains that dogs who are trained using any form of punishment are more aggressive than those trained without. For example a dog who is intimidated will be more likely to be aggressive than one who is not. The second explains that it’s not just aggression which is the issue, that any form of punishment, physical, intimidation or otherwise, causes a delay in learning. Hi thanks for a great article it nice to know other people feel the same way in regards to training:) I was wondering if you have any information on dog anxiety? My 1 year old lab had lead agresion and suffers from anxiety I was wanting to see if there was anything that can help her calm down. I luv walking her but if she sees another dog whitest she’s on lead she goes crazy ? But sometimes if she gets particularly hyped up then no aversion affects her. So you have to be careful you don’t increase the harshness to extreme levels like the ones mentioned in your article. A balance is needed. I almost think the dog respects us more when we tell her when she is doing well and tell her off when not than just using positive only methods. This is a very useful article. I have experienced different approaches during one to one lessons with professional gundog trainers but all use aversives. We have a 14 month lab working lines. She is very hot and strong prey instinct. Spent 12 months with positive only trainers for loose lead healing with no effect. Spent 2 hours correcting her with a lead check when put of position and she now walks beautifully. No more hurting her and us when pulling like a train. So in this case I think the aversion worked and on balance is better than long term pulling. Brilliant article. I (and my first Cocker) were trained by an aversive trainer and have been working my way back to a less aversive approach especially in retrieving. With generally better long-term results. As you say, I have yet to find a rewards based approach to too much scent and associated stop-whistle deafness. Thank you for the time spent putting this together it really is very informative.